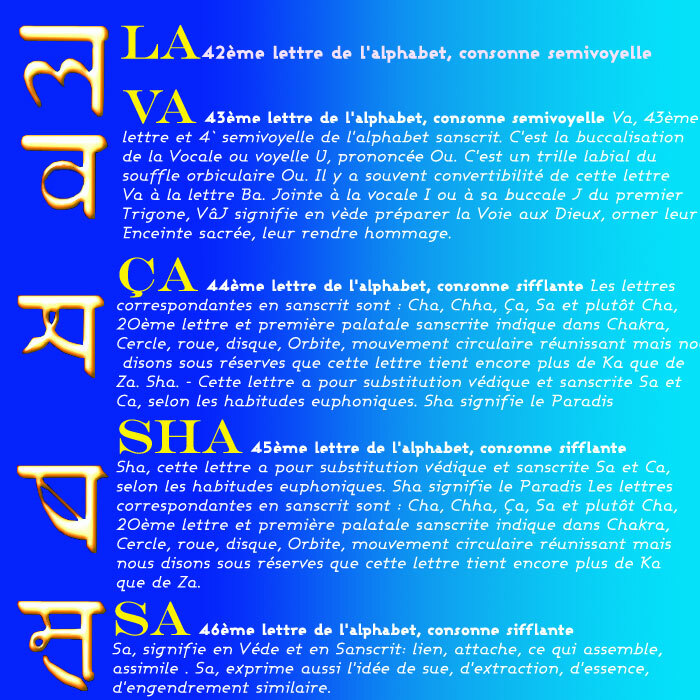 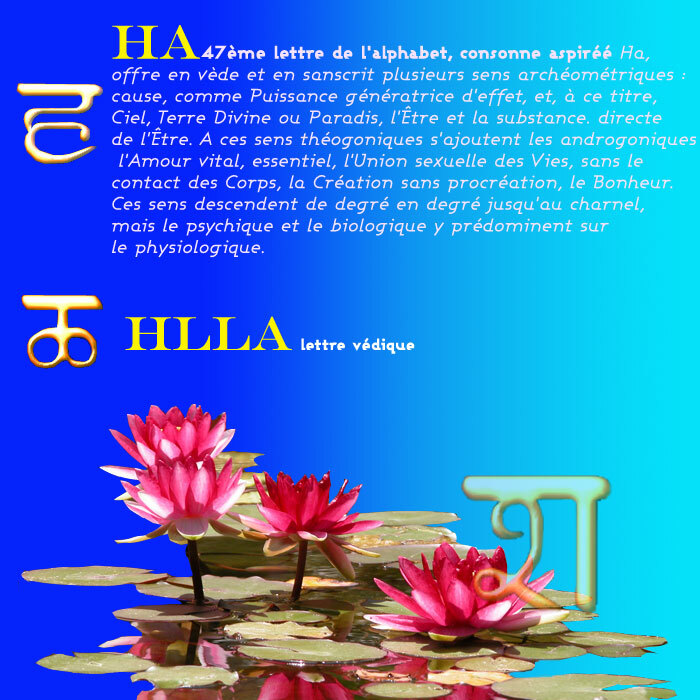 According to Saint Yves d’Alveydre’s study on the antic alphabet of the Ca-Ba-La of 22 letters, the more hidden one, the more secret one having been used as the prototype to all the others of the same kind, is an aryen or japhetic alphabet that eminent brahmans have communicateed to him. 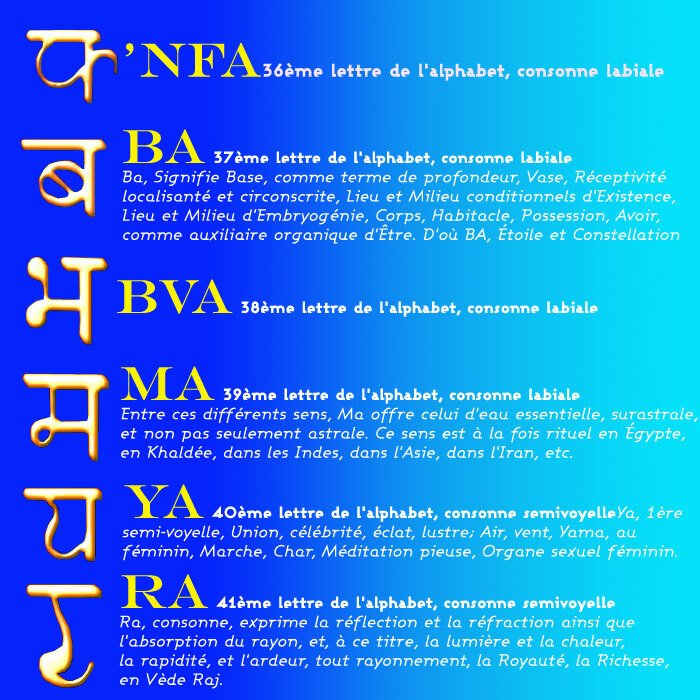 This alphabet that they name « Vattan » seems to go back up to the first human race. 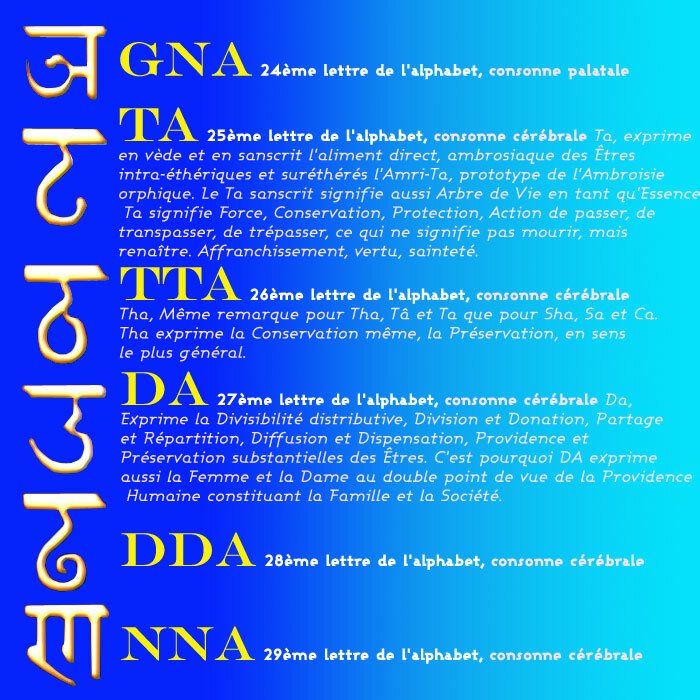 From both scientific and religious constitution, it is transmitting the Word, the Cosmological Word and its equivalent ones. 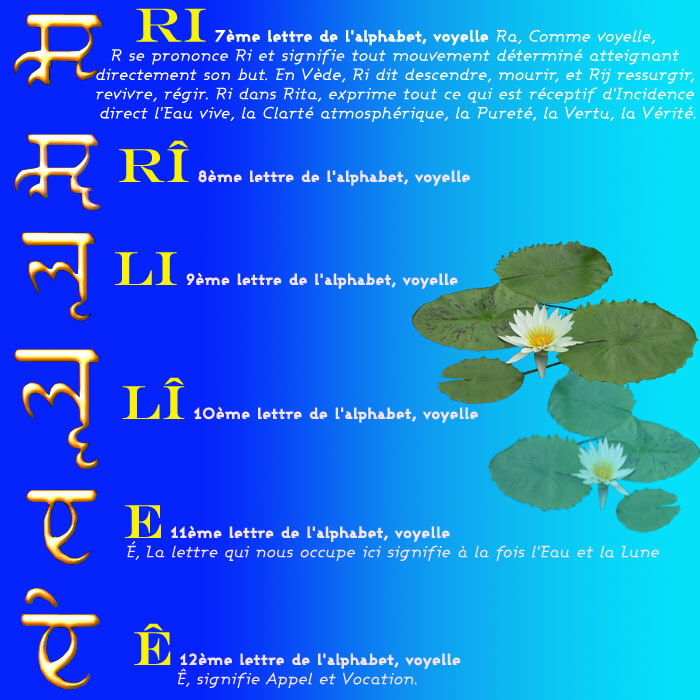 In all the patriarchal Schools, the roots were “monolittères” , which mean simple, or bilittères, meaning paired. 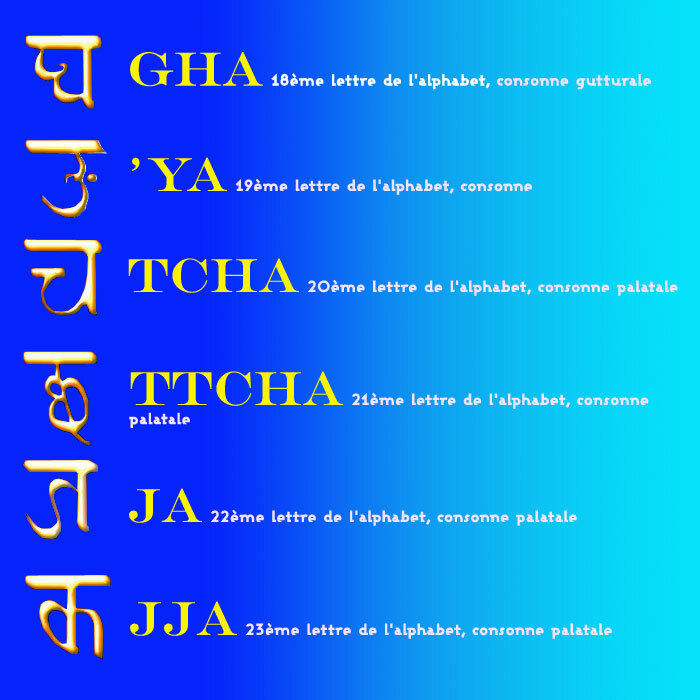 One must understand here by roots, the consonants pronounced or vocalised, but before all the consonant itself, because the vocal prononciation is changing according to the human verbiage, while the mute consonant keeps the imprint of the Divine Word .Each vowel has a root value and even of word value . 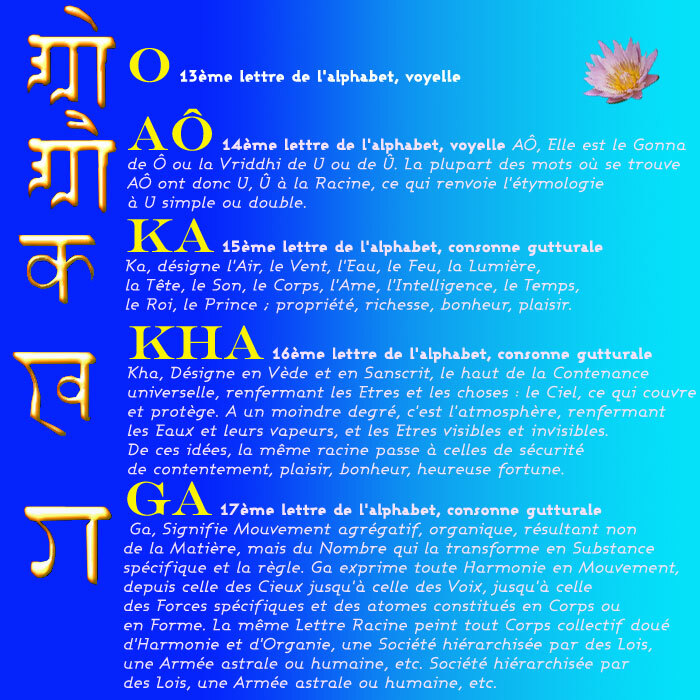 But without a university of high knowledge, and according to the way they were uttered by the populace, they offered the danger to alter the sacred meaning. 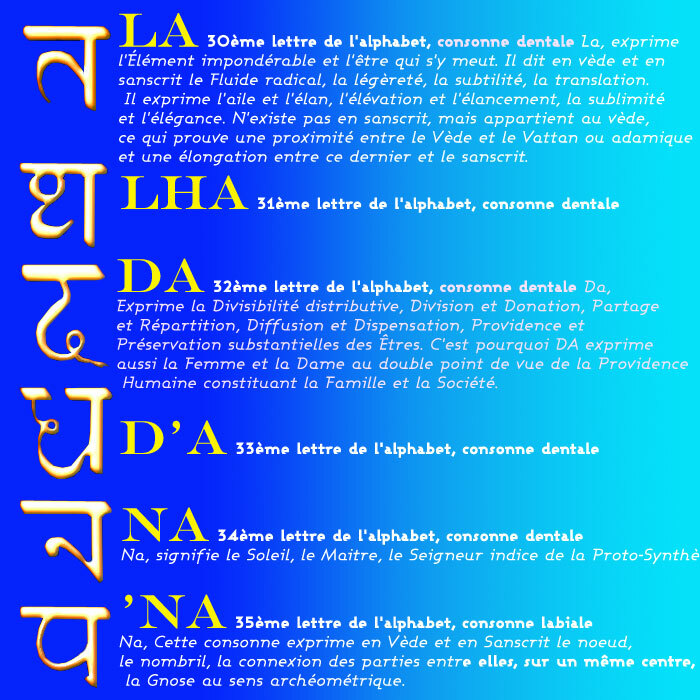 Thus, the more the antic Patriarches had to deal with barbarian folks, the more they have tighten the handling of the written Word on the consonant and the sign. 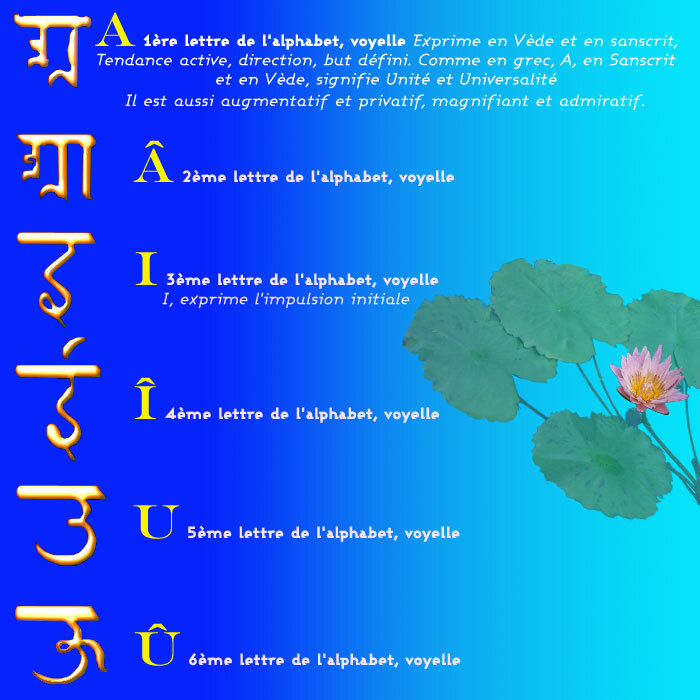 These letters are morphological, that means speaking exactly by their shape.